Use the CDC Worksite Health ScoreCard to assess your worksite's health promotion environment, policies and interventions in order to prioritize needs and strategies. 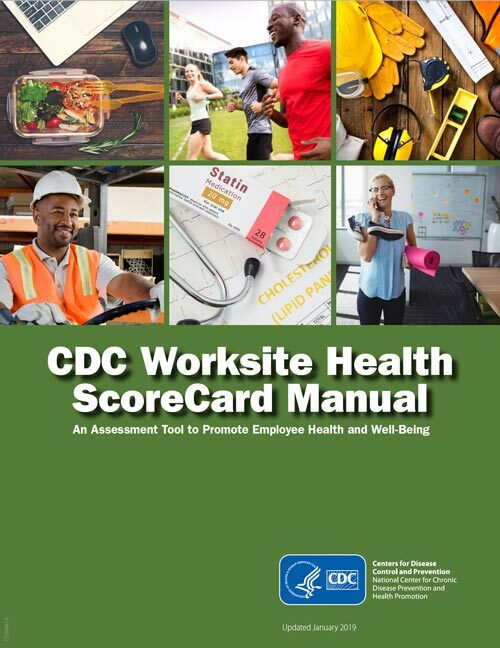 The CDC Worksite Health ScoreCard is a tool designed to help employers assess the extent to which they have implemented evidence-based worksite health strategies in their worksites. It assists employers in identifying gaps in their health and safety supports, and helps them to prioritize high-impact strategies for health promotion at their worksites. Learn how others are using the CDC Worksite Health ScoreCard to improve wellness efforts. Find and use resources that help you plan, design and implement specific worksite health promotion strategies. Determine how well your health promotion interventions are working and what to do next. The Worksite Health ScoreCard can be used as a basic evaluation tool to measure improvements to worksite health. It should be completed prior to making changes and then again after implementing worksite health strategies, to track changes and progress in the worksite health environment.